Do you ever get nights where you can’t sleep because your mind won’t turn off? That’s been me lately. Last night I tossed and turned and couldn’t quiet my mind. I wasn’t upset about anything. I have so many things going on around me that my mind had a hard time shutting down. I was going through each and every piece of information like a chaotic picture book. 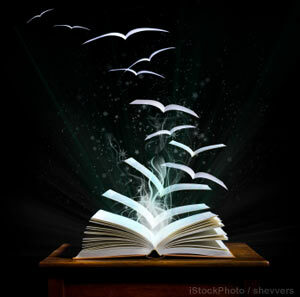 The pages flipped and flopped and nothing would settle enough for me to grab onto. I laid there and as the pages of my restless mind threw pictures at me I tried to quiet myself. I closed my eyes and thought…things will get done. They always do. I’m only one woman, but I have always managed to get what I needed done, done. Mostly I’m worried about my books that I’m working on. Well, technically one is a short story. I’m deep into edits for them both. My short story ‘The Canine Caper’ is in the hands of my wonderful beta readers. The next one is novel length, ‘A Case of Deceit’. I’m doing first draft edits on it now. Plus, I’m trying to learn Gimp (a free software for image manipulation). I’m trying to learn how to make my own book covers. This is not easy, folks. I have super respect for anyone who does this. I have a tentative book cover for ‘The Canine Caper’. I didn’t do the work, I outsourced it on Fiverr.com because that’s all I can afford. I thought she did a pretty good job. This is what she came up with. The dog is spot on. Just like Tee in the stories as I saw him in my mind. The woman, I’m not so sure about as Dee. What do you think? I really need your input. 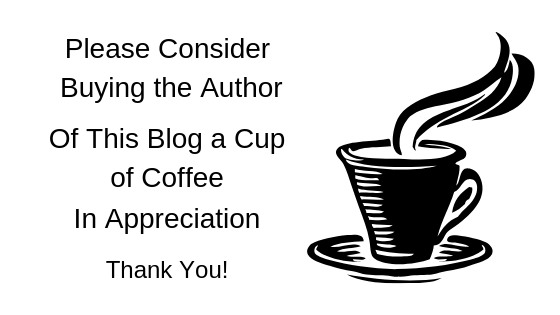 Can I really write something that people want to read? I hate when the doubts start creeping in. I’m working so hard to make this writing dream come true. I don’t give up easily. I can’t give up. So I lay in bed at night and fight the demons in my mind. Sometimes I win, sometimes they win and sometimes it’s a draw because I fall into an exhausted sleep in the middle of the fight. I keep fighting. The day I’m published is the day I win this skirmish. Then onto the next. How do you settle your mind when it’s all over the place? What do you think about the book cover? Next Post Help!! I’m Editing and I Can’t Get Out! I use a Yoga technique called “Yoganidra” – it can lull you into deep sleep in a matter of minutes. I have it on a CD that I listen to (by Manohar Harkare), but unfortunately it’s not in English. I usually fall asleep before I’m done with the left leg. I used to do something close to this, my own type of self hypnosis or meditation I guess you’d call it. I need to get back to doing that. Thank you for the information. I will keep it in mind tonight. Dee wouldn’t be looking up for guidance/help – she’d be looking straight at you without blinking. Where her eyes/gaze looks may be important to overall impression of her. Maybe if her head was turned to engage/challenge the reader? I do like the way the dog’s ear fluff mimics lines of her hair. That’s so true! Maybe that’s what has been bugging me. She looks like she’s searching for guideance and Dee certainly wouldn’t do that! I was about to say, I think Dee is a little too…refined? I don’t know how to explain it, I mean she is a PI so she has to blend in some but then again she is still pretty. Hmm. Tech support wants to know if you have the original photo. He does a lot of photoshop work. I kind of like the look myself. You would never guess that sweet face that Fedora fell for to have such a tough interior. That’s how she fools people into thinking she can’t do the job. I like the red hair on her. Just a thought. As for sleeping. I have no problem falling asleep but it’s the staying that way the gives me fits. I read a chicken soup story before going to sleep and journal. Maybe it’s the dump into the journal, hand written of course that helps my mind be free to sleep. Good luck with the sleep. The book thing, no sweat. Let go of it and trust that it will all come together exactly as it should. You can’t force this. Keep a positive mind to help it move forward. Hugs. Thank you Marlene. Tell tech support I am grateful for any offers of help. I do have a picture, it is available for commercial use. That’s one way of looking at the woman on the cover, but really I think it needs a different woman. I do like the red hair, as Dee does have red hair. If you want to send it to my e-mail, I’ll have him look and see what he can do. He loves to play. He suggested it when i told him what you were doing. He’s my son and has a good heart. If he can’t do anything good with it. No loss to you and playtime for him. Oh yes! I know that one indeed. When I’m writing a book I have difficulty thinking of anything else, but no one I live with understands that so I have to keep everything to myself. It doesn’t make for peaceful sleeping. Then, the editing – oh gosh! I have been known to procrastinate on rewriting or editing by writing another book. The first book I wrote is still waiting to be done. However, I have done three others which have been published. As for covers, I admit, it’s my one extravagance because I have paid to have my covers done by artists or photographers because at first I had little idea that my books would ever be published and I was indulging myself. Yeah, Dee shouldn’t look this…..innocent? Fragile? I don’t know. This woman looks “nicer” and yes, maybe it’s innocence, that I’d picture Dee. Yeah. It bugs me. Maybe I’m too fussy? I don’t know, but it bothers me. If it bothers you, change it. I’m sure you can find an image that is more her “type”, no? I have not read the book so I do not know if the photo fits. However, I am drawn to the woman’s eyes. I feel that detracts a bit from the dog. So if it was possible, if someone could photo-shop in order to tone down the woman’s make-up and somehow make her a little more subtle, if that is possible. 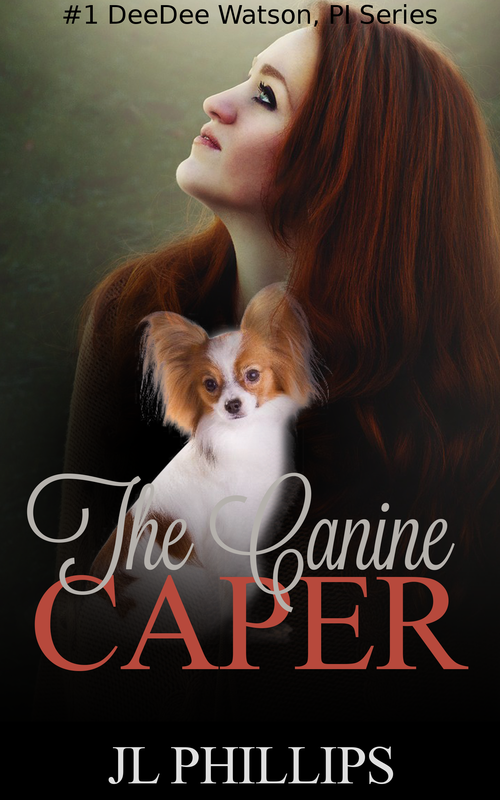 Also if the words ‘The Canine Caper’ could be moved down slightly so that ‘Canine’ appears with the black background completely behind it, that would free up the dog into central spot and, I believe, would draw the reader in. On second thoughts, I think the cover would be better with just the dog. Having two sets of eyes is distracting. If the dog was on its own, centered, and black or a very dark colour behind it, it would be perfect. Hm, interesting thoughts Elizabeth. Thank you for your input. I will have to look at it from a different view point. Funny, my mental image of Tee looked a lot like Toto. I guess it was the association with Dee keeping him in her purse, and Toto often hitching a ride in Dorothy’s basket. I can understand thinking of Toto. But my mind was always on a Tee like the cover dog. 🙂 As for Dee, yes, it’s not quite right. Hoping to change that soon…. Ah, yes I see the association for Tee. It is fascinating how each of us has in our mind what Tee and Dee should look like. Thanks B! I have those nights also, too many of them as far as I’m concerned. No the Dee on the cover doesn’t come close to how I pictured her. I have made several covers for people. I use public domain images then manipulate them using Picmonkey.com a free program (or you can pay for the upgrade) that allows me to use special effects and add text. Keep at it till you like what you see is my best advice. Thanks! I’ll get the book cover right before I publish. I have used picmonkey before…. I know the misbehaving brain thing all too well. Sometimes it helps me to put it all down on paper, like a to do list, and then I know I won’t forget it and that helps me to sleep. But that kind of insomnia can be rough. Whatever the reason, the restless mind has caused many hours of lost sleep. As you mentioned, hang in there … it will work out. Good luck … and I see a bit of intrigue on the cover. I say that because it’s a fresh look from someone who doesn’t know a thing about your story. PS: I did wonder about her “look”. FYI: If you get a chance, my challenge about the story’s ending starts Sunday night. Info on the Challenge page. I will most certainly look into it, Frank. I need a challenge and to get my head away from edits for a spell. I pictured her as a blond biker chick. Not this nicey nice that is currently on the cover. She rides a Harley for heaven’s sake. Actually in the stories she is described as a tall redhead. 🙂 The book cover is going to be changed.